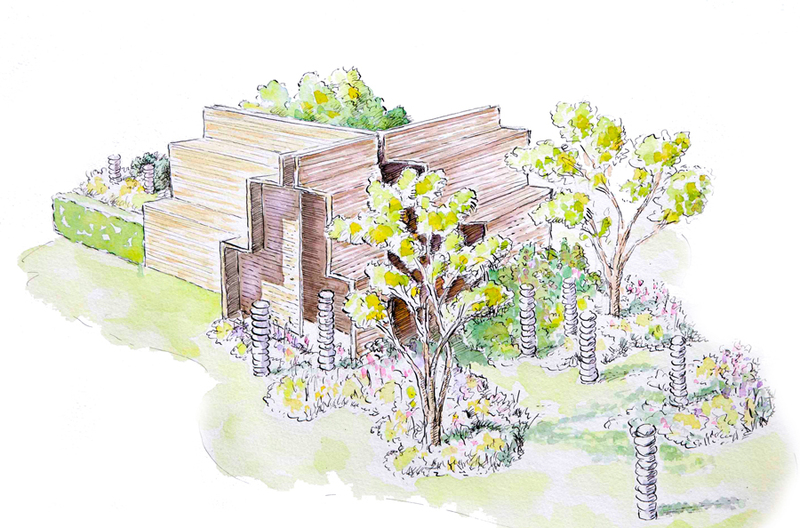 Ahead of the opening of the RHS Chatsworth Flower Show, award-winning garden designer Paul Hervey-Brookes, talks about the inspiration behind the Installation he has created for Brewin Dolphin and reveals some of the key design features and plants that he will be using to create it. The conceptual garden is in the FreeForm Category and encourages visitors to imagine the earlier landscape, featuring at its centre, a contemporary pavilion that will page homage to the lost village and is designed to reflect the internal void of buildings that existed before. Please click the image below to view a short preview film.